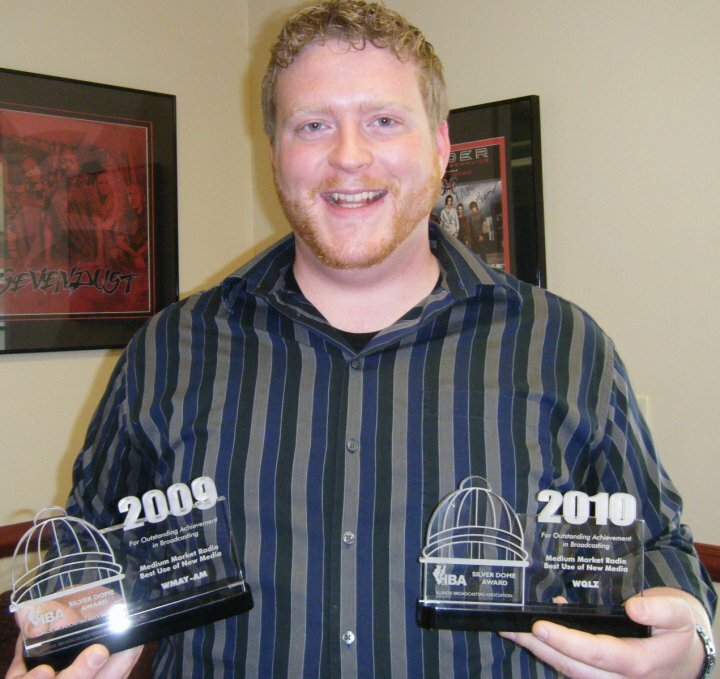 Greg Bishop, a University of Illinois Springfield graduate student and teaching assistant in the Department of Communication has been honored by the Illinois Broadcasters Association with a Silver Dome Award for the second year in a row. Bishop received the award for Best Use of New Media in the category of Medium Market Radio for creating and maintaining WQLZ-FM’s Facebook site, which he touts as a “social experiment on social networking”. The award was handed out during a ceremony in Normal, Illinois on June 16, 2010. Bishop is an employee of Mid-West Family Broadcasting, where he serves as on-air talent. He won the same award last year for a video produced on WMAY-AM's Rally for Common Sense. Bishop was one of several members of the Mid-West Family staff who received awards. “Two years in a row seems surreal, but that only means next year's submission will have to be above and beyond,” said Bishop.